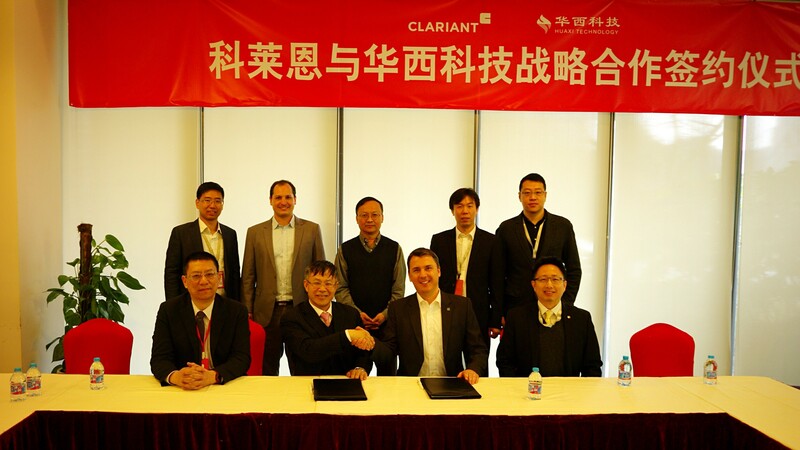 Shanghai, January 31, 2018 – Clariant, a world leader in specialty chemicals, today announced that its Catalysts business unit has formed a strategic alliance with Shanghai Huaxi Chemical Industry Science & Technology Co., Ltd. regarding hydrogen production projects in China. According to the agreement, Clariant’s catalysts will be qualified and recommended for Shanghai Huaxi’s medium temperature shift (MTS) process licenses. Clariant will provide a range of catalysts for Reforming, Hydrodesulfurization, and the Water Gas Shift process. The deal combines Shanghai Huaxi’s advanced process technology with Clariant’s state-of-the-art catalysts to provide a highly efficient and economical solution for hydrogen producers.